It’s easy to think that the future of photography is all about megapixels, RAW files and camera apps, but for some people the future will remain analog. 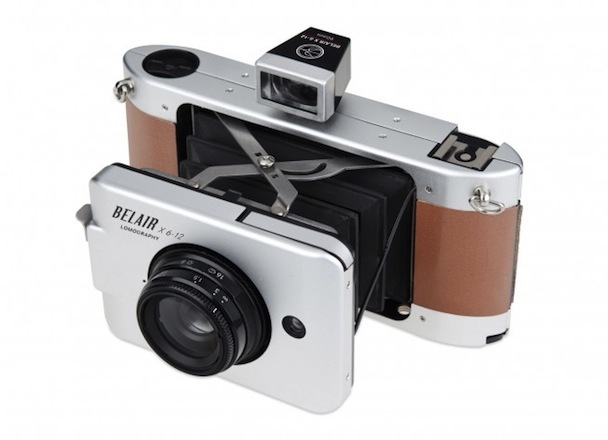 Just ask the good folks at Lomography who continue to come up with intriguing film cameras, like the Spinner, the LOMO LC-Wide, and now the Belair X 6-12, a 6 x 12 film camera, which features collapsible bellows that give the camera a convenient and portable size when not in use. 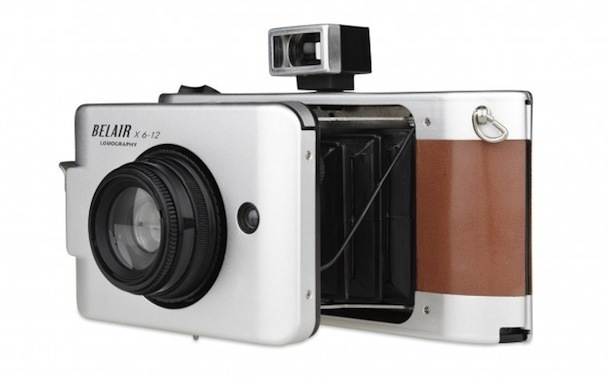 While Lomography has all too often become associated with lo-fi photographs, many of its cameras are capable of producing quality results, and the Belair X 6-12 is no exception. The camera pairs 120 (medium format) film with interchangeable quality optics to produce impressive sharpness, depth of field and ultra-wide photos. The Belair X 6-12 comes in three flavors, ranging from the black plastic Cityslicker to the top of the line metal Globe-trotter with a snakeskin-style leather finish via the mid-range Jetsetter. Each come with two lenses, a 90 mm and an ultra-wide-angle 58 mm (when shooting 6 x 12 that’s a 35 mm equivalent of 21 mm) both of which are said to offer “high quality photos” while retaining that “Lomographic charm.” Using the 6 x 12 format, the Belair X 6-12 boasts three different shooting formats, including a square 6 x 6-inch (12 photos per film roll), a regular 6 x 9 (8 photos per film roll), and a panoramic 6 x 12 (6 photos per film roll). The zone-focusing camera has four focusing zones: 1 m, 1.5 m, 3 m and infinity, and is the the first 6 x 12 panoramic medium-format camera to feature auto-exposure. 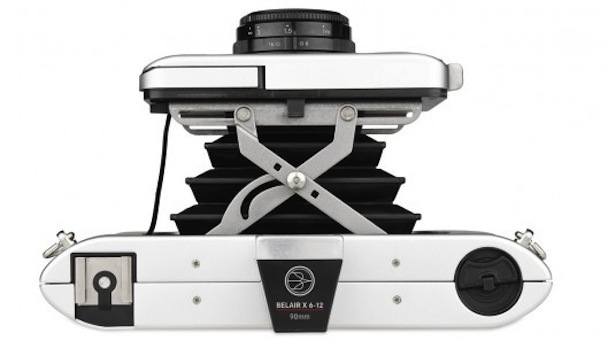 Then there’s that classic bellows design, which enables the Belair X 6-12 to lose the bulk that is often associated with medium format. The fold-out system means users can collapse the camera to a convenient and portable size when not shooting with it. The retro bellows will also ensure you always stand out from the DSLR-toting crowd. The Belair X 6-12 also features an ISO range of 50 to 1,600, a top shutter speed of 1/125 second and a bulb setting for long exposures and multiple exposures. There’s also a standard hot-shoe connection for flash attachment and a standard 1/4 tripod socket. 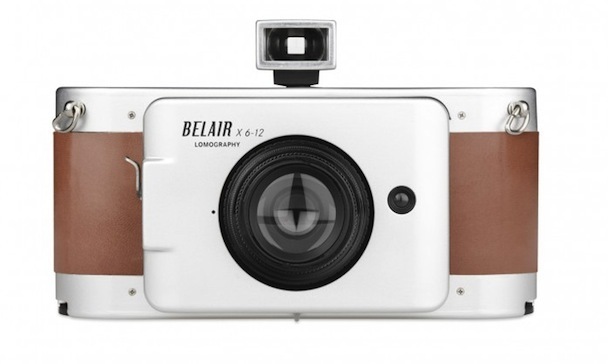 All three versions of the Lomography Belair X 6-12 will be available in December. The Cityslicker will set you back US$240 while the Jetsetter will cost $300 and the Globe-trotter $350. 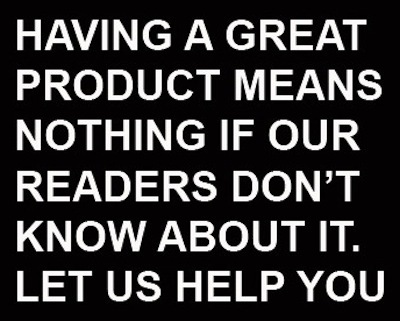 ( By Simon Crisp from www.gizmag.com ) For more information or to buy this camera, just follow the link bellow.